UPDATE: The National Weather Service has confirmed the tornado, one of two that touched down in Oregon Monday. 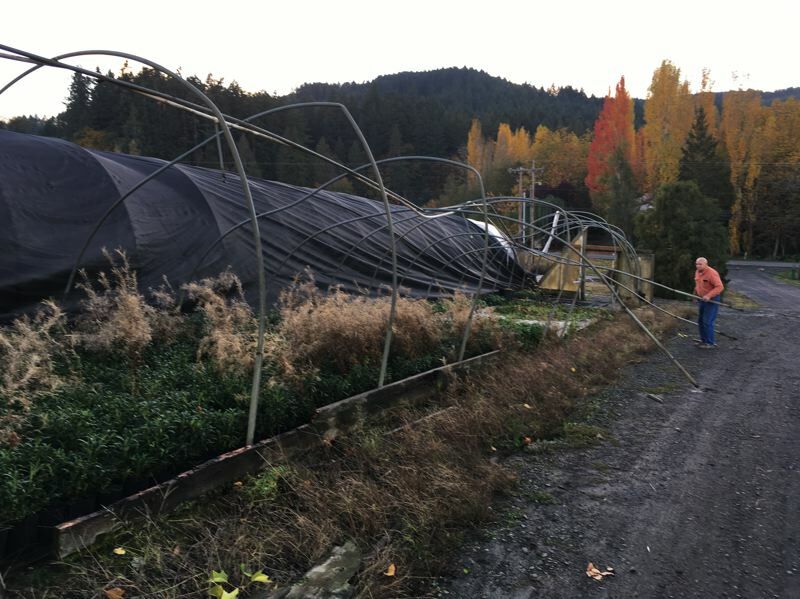 A Forest Grove-area nursery was left with considerable wind damage Monday afternoon, Oct. 29, after an unusual weather phenomenon for the area. Jim Roofener, who maintains the nursery with his wife, Debbie, off Northwest Thatcher Road, told Portland-area television station KPTV that he was standing outside when he noticed the winds change. "The water started coming up out of the pond and created a tornado right here in the driveway, hit the ground," Jim Roofener said. Roofener said he went for cover, but after emerging from beneath a trailer, he saw that four of the nursery's greenhouses had been "torn up," as Debbie Roofener put it. What Jim Roofener described as "heavy-gauge" metal pipes were twisted and bent, and sheeting was torn away. Read KPTV chief meteorologist Mark Nelsen's assessment of the tornado activity in his Oct. 29, 2018, weather blog update. The Roofeners estimate the damage at about $100,000, KPTV reported. No one was hurt by the storm. 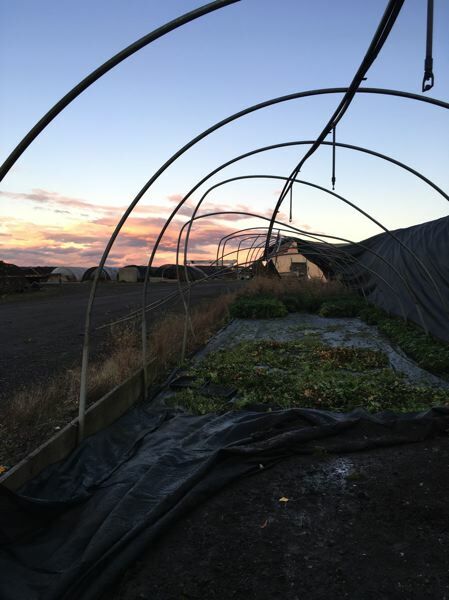 The National Weather Service confirmed Tuesday, Oct. 30, that the windstorm that damaged the nursery was an EF-0 tornado, the weakest possible on the internationally used Enhanced Fujita scale. Forest Grove Light & Power, the city-run electric utility, reported a power outage in the rural area around Thatcher and Hillside roads at about 2:30 p.m. "due to a small tornado that came through." Power was restored by 4 p.m.
Another EF-0 tornado was confirmed further to the south in the Willamette Valley on Monday. That tornado touched down briefly near Jefferson, according to eyewitnesses. Tornadoes are rather rare in the Pacific Northwest, which is located well outside the infamous "Tornado Alley" in the Midwest and South. However, the National Weather Service noted on Twitter that when multiple tornadoes are reported in the region, "Recent history shows it almost exclusively in the early fall." Monday's two confirmed tornadoes mark only the second time since 2000 that multiple tornadoes touched down in a single day in northwest Oregon and southwest Washington. The last such occurrence was on Oct. 14, 2016, according to the National Weather Service. Editor's note: This story has been updated with confirmation from the National Weather Service that the event was an EF-0 tornado, as well as with information on the power outage it was blamed for causing.